America has been slow to deal with these realities. A proposed piece of legislation, the Rare Earth Supply-Chain Technology And Resources Transformation [RESTART] Act, would provide $1.2 billion to help make America’s rare earth metal miners competitive. Finding a steady supply of these rare earth metals will be crucial to emerging American clean energy industries. Recent analysis by Saqib Rahim at ClimateWire, has shown that the combination of rising Chinese labor costs and the large size of electric car and wind turbine components make these two technologies cost competitive to produce in the America. Both technologies necessitate large amounts of rare earth metals for production and are arenas in which China will be competing heavily in. 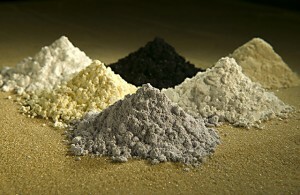 The unfolding rare earth metals dispute and resulting American actions should be followed closely by anyone who wants to see such crucial clean energy technologies produced in America. I think it would be outrageous and downright stupid for the US to provide substantial subsidies to its own mines. The whole reason for the lack of diversity in supply is because of market distortions through government intervention. to read some of my posts and views.